Dog Walking, Dog Sitting & Dog Boarding in Colchester. Dog Walking for older dogs and puppies. Pet Visits - we will walk, play, water & feed your dog, puppy, cat, small or exotic pet. 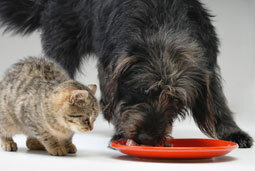 We can administer your pets medicines. We also offer home visits for small and exotic pets. Home boarding / home board (host boarding) as a host family. We offer pet boarding and pet care where your dog can stay in our own home (host boarding). Key Holder services – secure key holder services. For bank holiday's prices are 1 ½ times those stated above. Our approach to dog walking is to make use of the many areas found locally to either the client or in the many parks within the Colchester area. Wherever the area is we will ensure that our dog walking delivers your pet real benefits through a stimulating and enjoyable experience, within a safe environment. 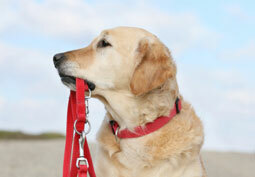 Your dog can be walked on or off lead from your home or at the agreed location, either solo or with company. There will be a discount for dogs being walked with others and half price for a second dog being exercised from the same family. Older dogs and puppies will be given exercise at a pace more suitable to their ability. Our pet visits offer you units of time during the day to visit your dog(s) at their home. During the visit we will walk your dog or puppy, play, and if required help with ongoing training, toileting breaks, etc., along with, of course, lots of care and attention. We will ensure that they are fed and watered as per your instructions. They will be let out for a toilet break if they are kept indoors, or clean out the litter tray or bedding area if appropriate. In most cases we are able to administer your pets medicines if required. Poochy pets- platinum services also has valuable experience in caring for small and exotic pets and are therefore happy to provide home visits for these unique pets too. We are pleased to offer a pet boarding and pet care experience where your dog can stay in our own home and be treated like a member of our family and of course, you will have the opportunity of visiting them should you wish. When your dog stays with us, they are treated as one of the family with all the usual sights, sounds and smells of family life, but best of all they will receive all the love, cuddles and attention they deserve, as well as the companionship of our two young Chocolate Labs, Illy and Coal. Your dog will be walked regularly and given lots of fuss and attention. We can provide food if required (at an additional cost), but ideally you should supply the dog's normal diet. We also encourage you to bring their favourite blanket, toys and anything else and any other items that will make them feel relaxed and at home. Regular clients can benefit from our key holder service. Keys are kept locked away within a safe area and are coded so that the name and address do not appear on the fob. This would suit people who travel often or find themselves regularly being kept late at work. It is also ideal for that unexpected trip away. This service can be priced on an individual basis, subject to your service requirements.